The Newfoundland & Labrador College of Respiratory Therapists (NLCRT) regulates the practice of respiratory therapy in this province. 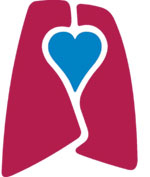 Mandated under the Health Professionals Act, the College establishes the standards for the safe and ethical practice of respiratory therapy and governs the members of the College to ensure only individuals who meet defined criteria enter the profession, and that those who already practice respiratory therapy maintain their competency level. While the NLCRT is dedicated to supporting Respiratory Therapists in their delivery of high quality, safe and ethical care to the public of Newfoundland & Labrador, it is not a teaching institution. It is a professional, self regulating body with the primary focus of serving and protecting the public interest. The College works with the Newfoundland and Labrador Council of Health Professionals to develop committees responsible for matters such as registration, complaints and discipline. The Council is responsible to investigate complaints from the public and discipline members on issues such as professional misconduct, professional incompetence, or incapacity. Appointed members of the College sit on the Council’s complaints authorization committee to deal with these issues.